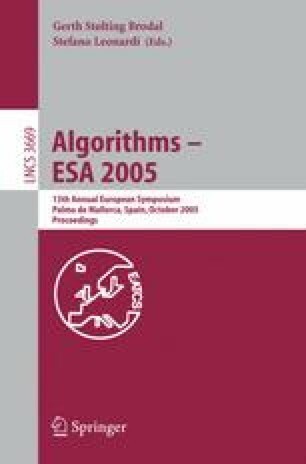 We show that uniformly random 5-regular graphs of n vertices are 3-colorable with probability that is positive independently of n.
The 1st, 2nd, 4th and 5th authors are partially supported by Future and Emerging Technologies programme of the EU under contract 001907 “Dynamically Evolving, Large-Scale Information Systems (DELIS)”. The 1st author was partially supported by the Distinció de la Generalitat de Catalunya per a la promoció de la recerca, 2002. The 3rd and 4th authors are partially supported by European Social Fund (ESF), Operational Program for Educational and Vacational Training II (EPEAEK II), and particularly Pythagoras. Part of the research of the 4th author was conducted while visiting on a sabbatical the Departament de Llenguatges i Sistemes Informàtics of the Universitat Politècnica de Catalunya.